India’s very own instant messenger, Hike, had a unique gift for all its users on the occasion of 66th Republic Day, 2015. 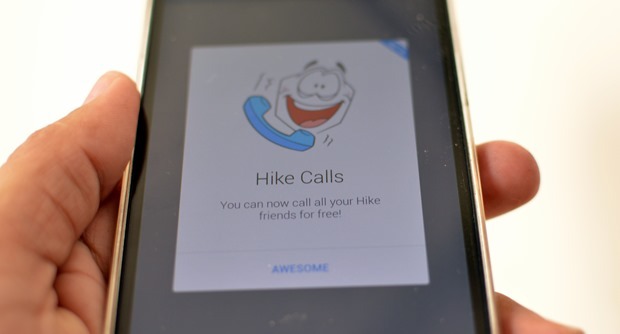 Hike Messenger has now enabled free voice calling in the latest update! A brain child of Kavin Bharti Mittal (son of Airtel owner Sunil Mittal), Hike was floated as a venture between Bharti Enterprises and Softbank on December 12, 2012. A hugely popular instant messaging platform, Hike is unique in the sense that it allows greater customization and privacy to its users. Cool emoticons in regional languages and stickers can be used to liven the dull looking messages while customizing the screen as per individual tastes. Besides that, users can hide their Last Seen and Status. The Last Seen and Status will be visible only to friends who have been added after a friend request. In addition to that, Hike gives users the option to send documents like PDFs, MP3s, PPTs, Word and Excel files by uploading any document up to 100 MB in size with ease. With big global players like WhatsApp and Viber dominating the scene, Hike did not attain the heights it could have and has about 35 million users, while WhatsApp leads the vertical with over 700 million users. Other apps like WeChat and Viber too have active user base of upward 100 million users. WhatsApp has also toyed with the idea of voice calling. There have been rumours that they are already testing the voice calling feature too. After Hike announced acquiring the US based voice calling company Zip Phone earlier this month, we knew that voice calling was round the corner. That the feature would be made available soon, we all knew. No one knew HOW soon would that be, though! With Hike making its voice calling facility ambitions very open, analysts were keen to see who would come up with the unique feature first- the much more popular, global, cash-laden Zuckerberg owned WhatsApp or the relatively pygmy sized Hike? In a country like ours where the number of 2G users far outnumber 3G or Wi-fi users, the voice calling feature by Hike has to be very data efficient to make sure that the users’ data bills do not zoom past their usage limits. But since it is not the first app in the market to add the voice calling feature to its booty (Line and Viber being the early birds), the Indian grown app will have to provide seamless voice-calling experience and focus on voice clarity and lesser fewer call dropping to stand out against those apps. If they can manage to ensure that, the new feature will definitely give it an edge over its rivals- the other messaging apps- which are numerous! The Hike voice calling feature is for now available in the beta version for its users. The feature will not be rolled out to all users on-air automatically. They will have to reinstall/ update the app to begin to start enjoying the free voice calling feature. The voice calling icon is seen in the chat window and users can press it to make a free call to other Hike users. The feature has been made available only to Android users at present, the iOS users being made to wait a little longer. The facility can be availed only if both the calling parties have the updated version of Hike on to their devices. Still in the beta phase, as mentioned earlier, it offers limited features like putting the call on the speaker and pausing midway a conversation. While we are proud and ecstatic about an India company gaining an edge over the much bigger WhatsApp, let us not forget that they too will add the feature soon. Not only that, the tech giant Google is also toying with the idea of its own messenger. If either of the two comes up with better features and user experience, users will not hesitate to move on. So, Hike has to focus on delivering outstanding facilities to make sure the existing users do not leave it while newer ones continue to install their app. Do give Hike messenger’s voice calling feature a try and let us know what you think about it! Ambika is a writer, eBook author and a blogger. A work-from-home mom who loves to stay updated with the buzz in the tech world and a self confessed social media freak. WhatsApp Could Soon Debut Advertisements and B2C Services on the Messaging Platform! WhatsApp Rolling out Video Calls on Android; Should Google Duo be Worried? WhatsApp Hits 100 Million Voice Calls Per Day; Telcos Under Distress?